The Rondo masonry BBQ is undeniably the leader of with its most originally shaped and beautifully crafted built in barbecue. With an extremely large capacity to cater for large parties or family occasions The Rondo barbecue has been manufactured using strong and durable high quality materials. 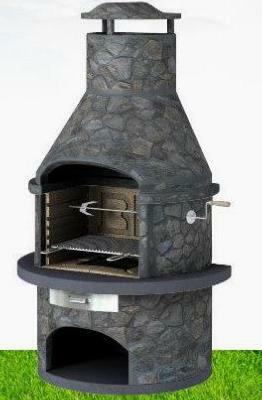 A completely fresh and unique design in barbecues using a dark slate to give a striking appearance and high quality finish. 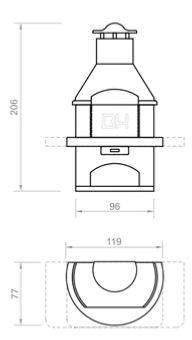 A stainless steel manual rotisserie is provided as standard and storage space underneath. Includes cooking grill and fire tray and instructions. Free Delivery 7 to 14 Days.